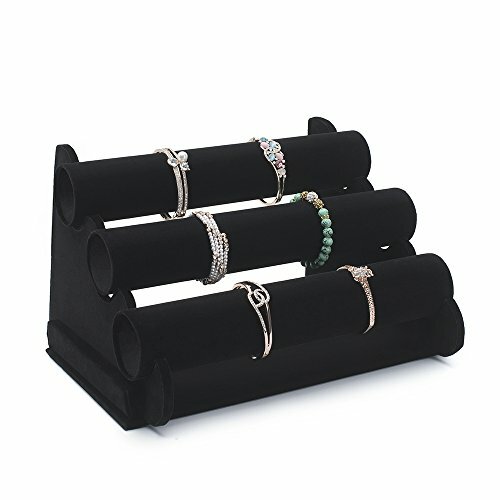 The bracelet holder allows you to keep your jewelry safe and untangled and easy to choose the ones you wants for the day. 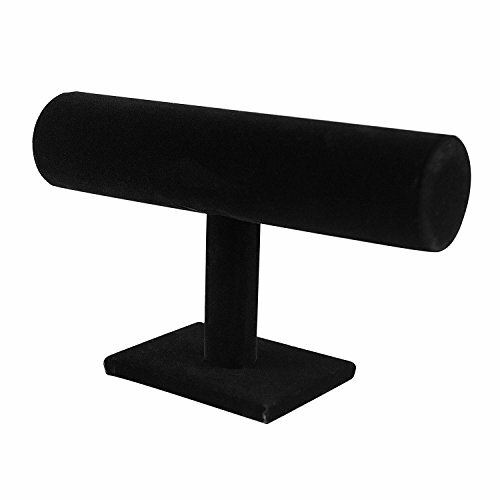 This has nice soft velvet and looks very neat with all of your bracelets. Three tier instead of two, you can not miss it . 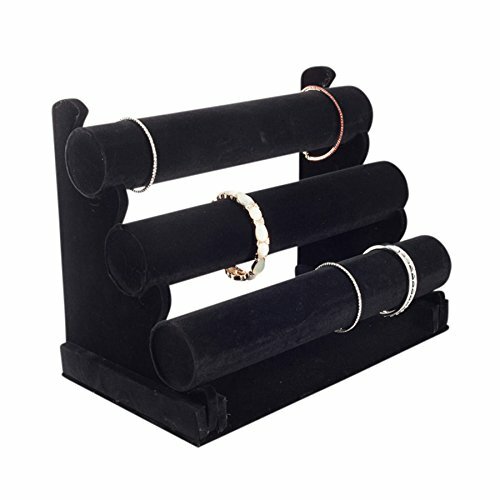 This bracelet holder is of good quality and provides adequate storage for all of your bracelets. Also,, because of the gradation of the storage rolls, it is easy to see all the bracelets at a glance. 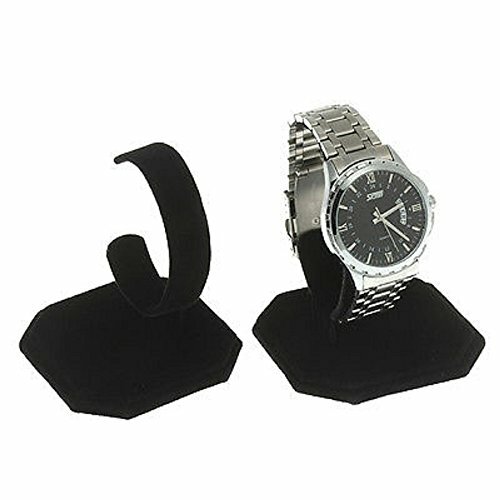 2 Tier Black T-Bar Bracelet Watch Jewelry Stand Display. 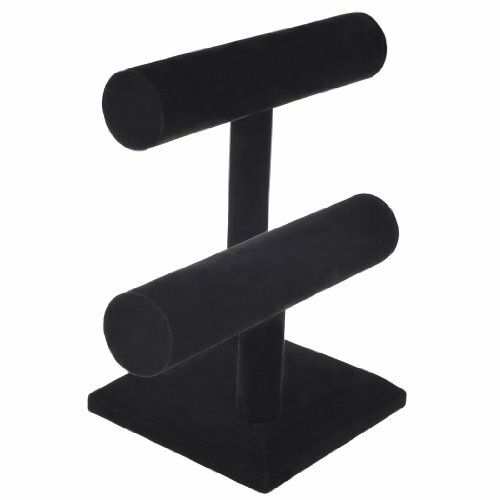 This is a new black velvet 2 tier t-bar display. Allows you to hang bracelets, bangles or necklaces. 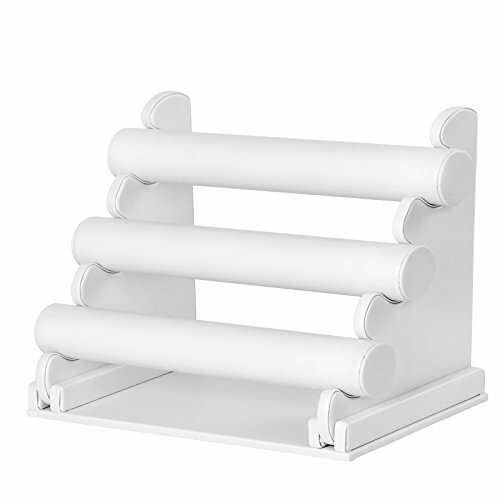 Great for displaying jewelry on countertops and showcases. It measures approximately 10 1/2" x 8 1/4" (267 x 210 mm).